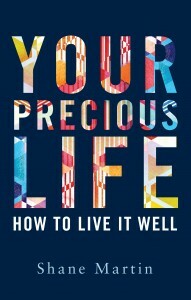 This Christmas I was given a gift of the book ‘Your precious life- How to live it well’ by Shane Martin. Shane Martin is a psychologist based in Ireland who (like myself) was struck by how intervention and advice on wellbeing and positive living is reserved for those who are already in crisis or unwell. The book gives a guide on how to enhance wellness in everybody and in reading it I kept coming back to an idea that has been floating in my mind for a while about the links between mindfulness, sensory processing, parenting and wellbeing. 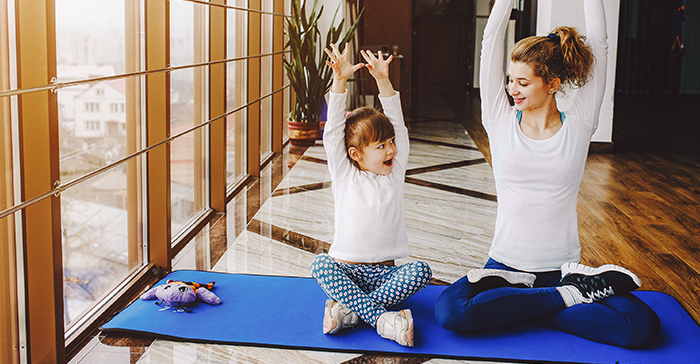 Mindfulness practice is becoming more and more popular as a wellbeing tool across many areas of society including in classrooms to help children attend better in the classroom and feel calmer and happier overall. Dr. Martin references research to support the use of mindfulness in schools including a decrease in truancy, improved behaviour (less suspensions), improved focus and attention and potentially therefore improved ability to achieve academic goals. In adults, mindfulness has been shown to improve mood, physical health, improved relationships and promote an overall sense of happiness. To the best of my knowledge (and I don’t claim to be an expert), the core concept is about being fully present and ‘tuning’ in to what you are doing at that time. It’s tasting and smelling the food you are eating, feeling the chair you are sitting in, listening to sounds around you, noticing how your body is moving- in other words it’s connecting with the sensory aspects of that moment. So, in my opinion it follows that becoming more aware of your own sensory preferences (or helping our children to), by tuning in to the sensory aspects of the moment, encourages mindfulness. My goal with writing Max and Me was to educate the whole class/family about different preferences for sensory experiences, like Dr. Martin, to attempt to help people to make lifestyle choices that suit their sensory needs to prevent sensory overload, rather than looking at interventions to react to sensory overload once it has happened. All of us process sensation. 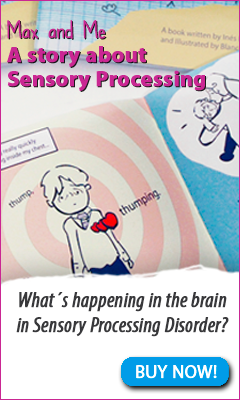 So all of us need to be more mindful of our sensory sensitivities. Ignoring our sensory reactions causes sensory stress in the body, which over time leads to poor mental and physical health. So, being more sensory aware is being more mindful and being more mindful is good for your health! With regard to children, I’ve blogged previously about children’s natural ability to play mindfully if we (adults) allow them to. Children easily get absorbed in play and experience ‘flow’ which Dr Martin also lists as an ingredient to wellbeing. Most parenting interventions advise that we give our children 15-20 minutes per day of our full attention where we are not checking our phones, thinking about something else or multi-tasking. Again being more mindful with our children. Parenting interventions (such as Incredible Years or Triple P) have been shown to improve behaviour in both typically developing children and those with conditions such as Autism and ADHD. 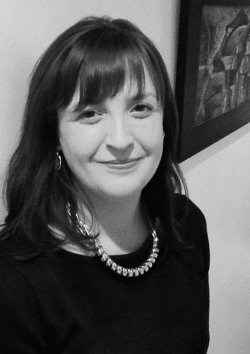 So, in conclusion, sensory based intervention and mindfulness seem to overlap and complement each other in their approaches – to borrow a term from Winnie Dunn – living mindfully is ‘living sensationally’ and leads to greater wellbeing overall. Delighted that my book is being read by an innovative OT. Keep up the good work! Thanks for your comment . I really enjoyed your book and have tried to put it into practice for myself and in my work. Let me know if you come up with any ways to change the health or education system to put it in to practice there !